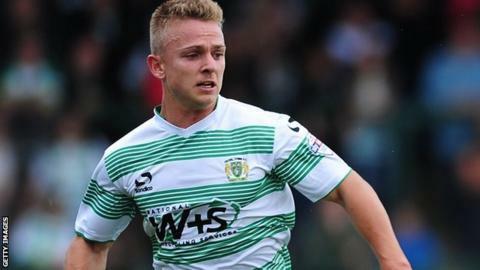 Barnet have signed striker Sam Hoskins from Yeovil Town in what the club describes as a "short-term loan deal". He began his career in Southampton's academy and made four appearances for them as a substitute in League Cup and FA Cup ties. Hoskins, 21, also had loan spells with Preston, Rotherham and Stevenage before joining Yeovil in the summer of 2013. He has since made 27 appearances for the Glovers, but has yet to score his first goal for them. The exact length of his loan spell has not been disclosed, but he was signed in time to be available for Saturday's Conference home game against Altrincham.